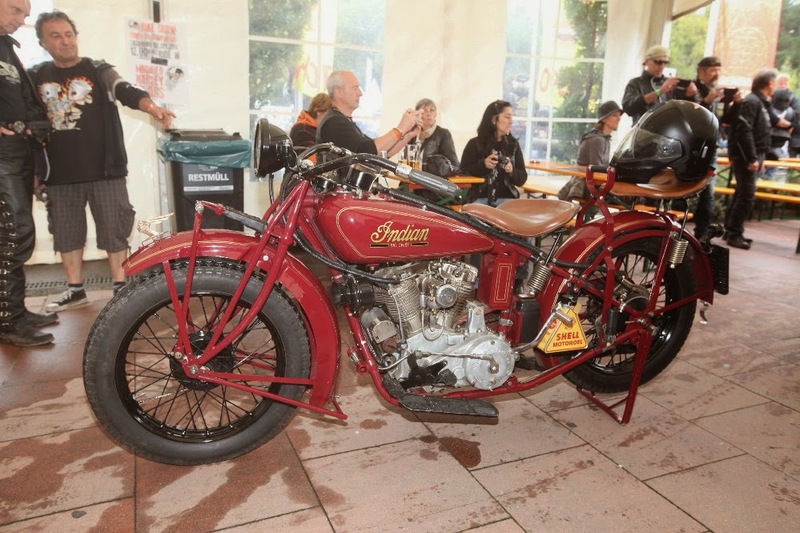 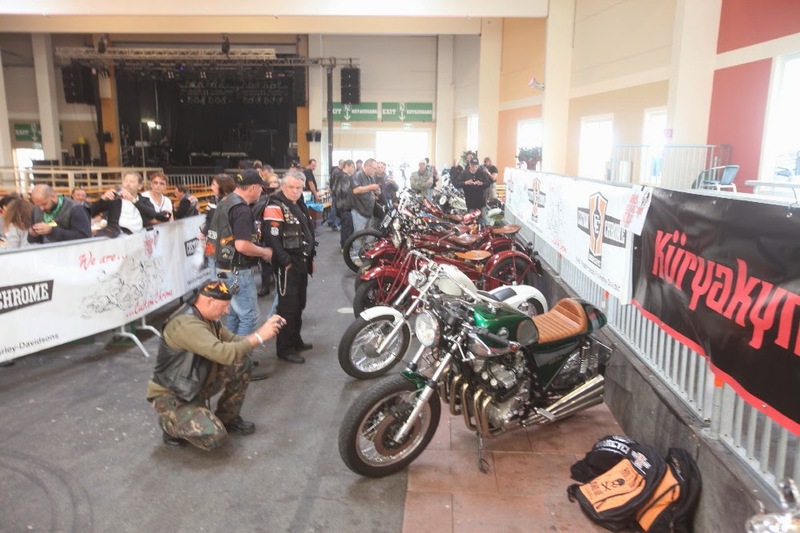 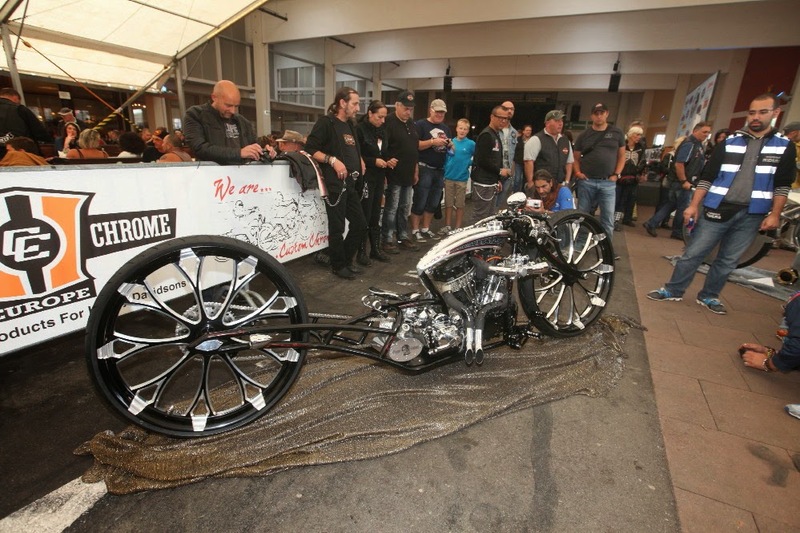 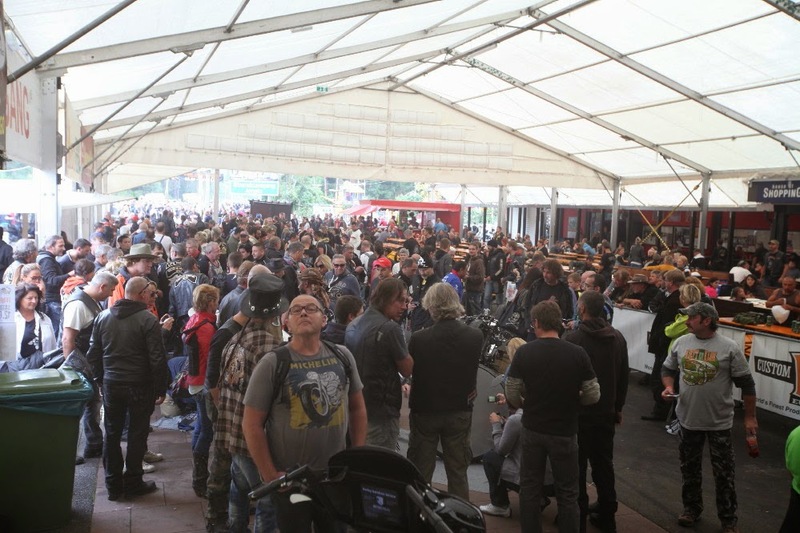 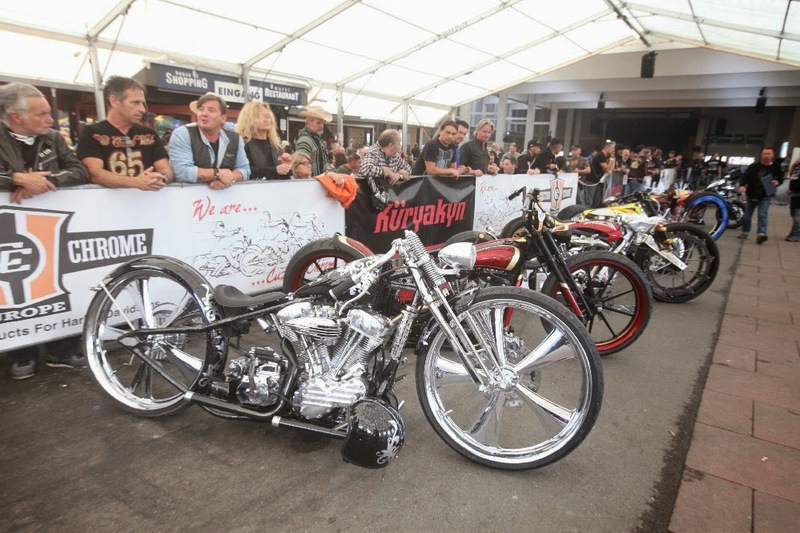 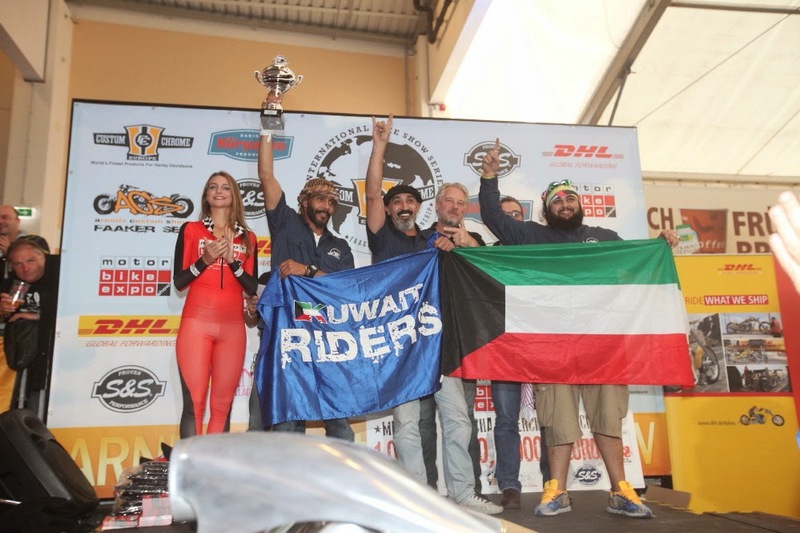 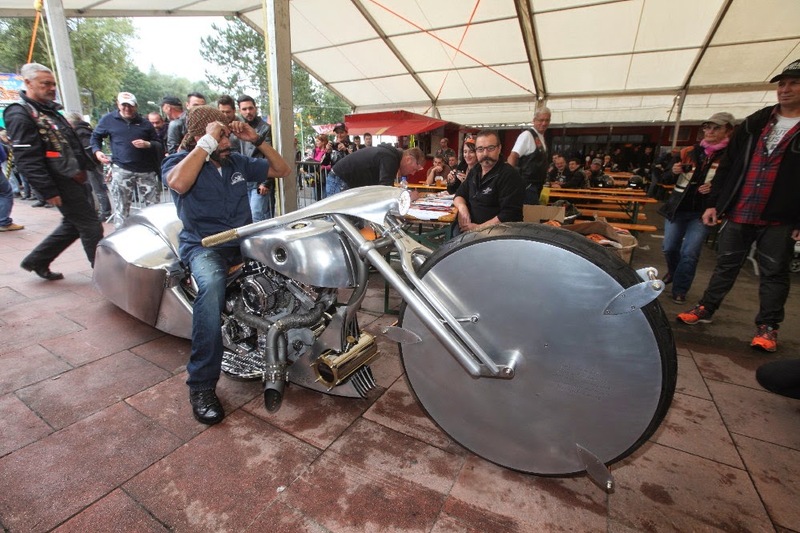 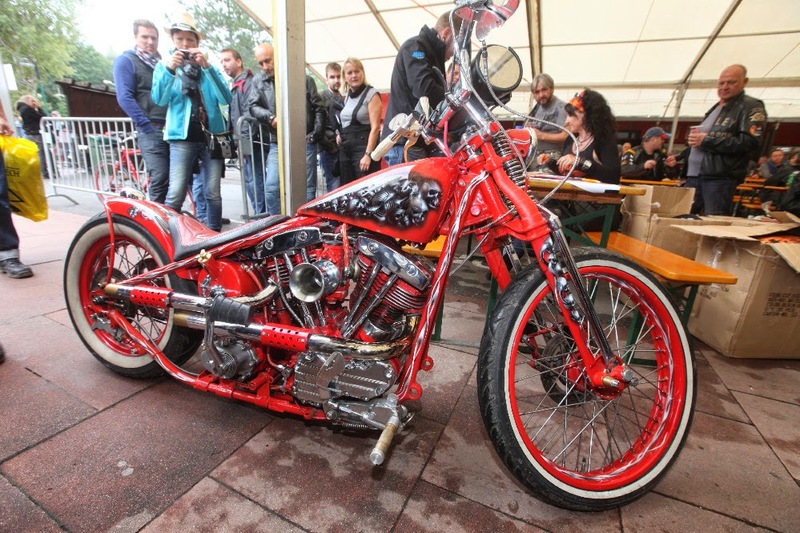 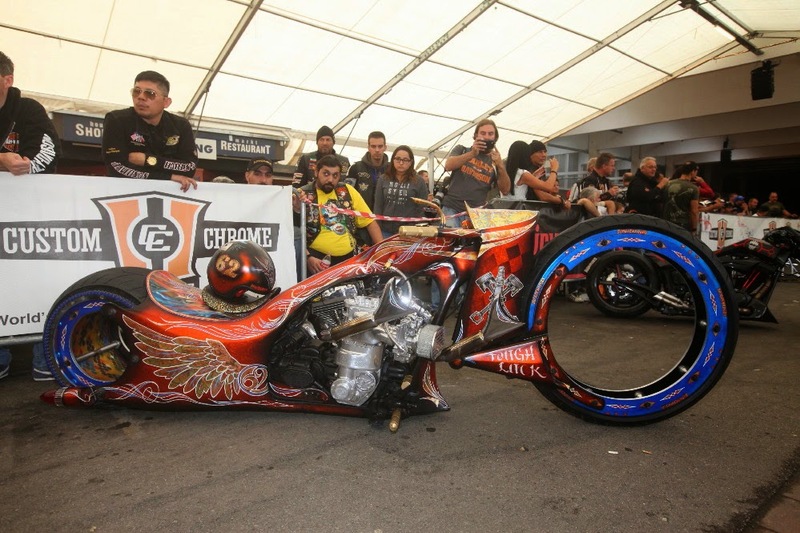 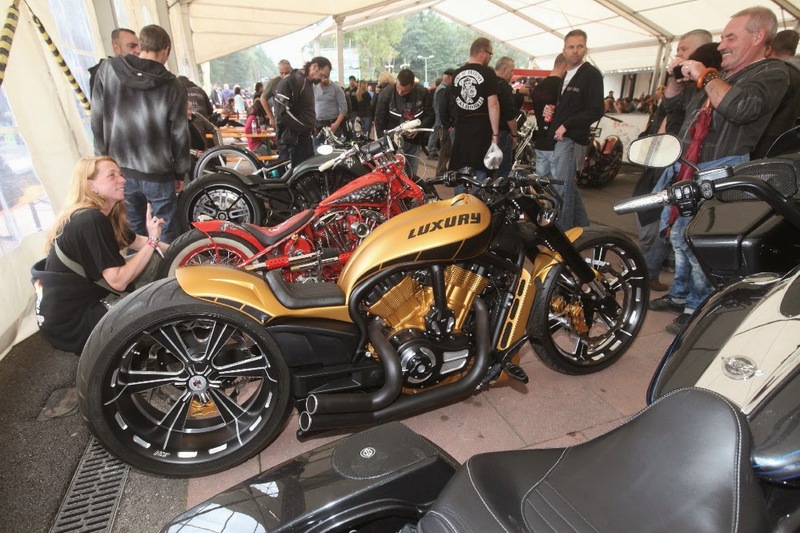 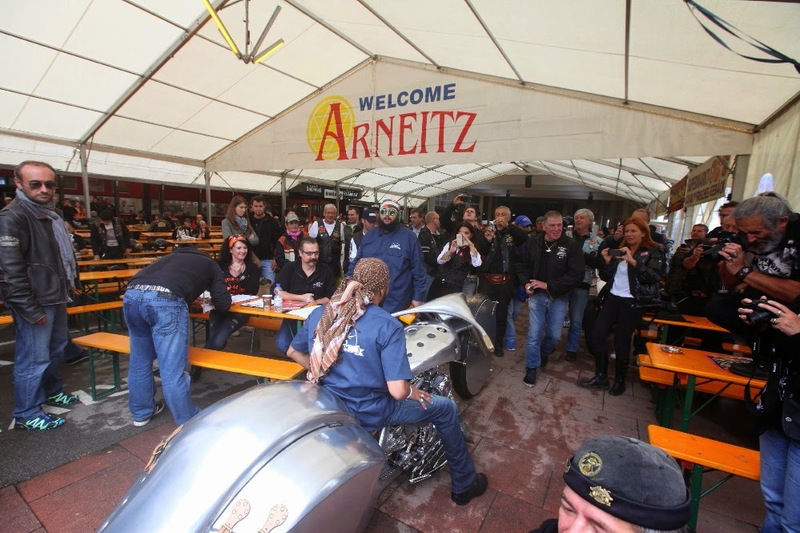 It was the showtime for the customizers from the middle east: Every day, the Kuwait Riders openend another truck and rolled out another showbike for a premiere, the last at noon saturday for the Custom Chrome Europe Ride-In Show. 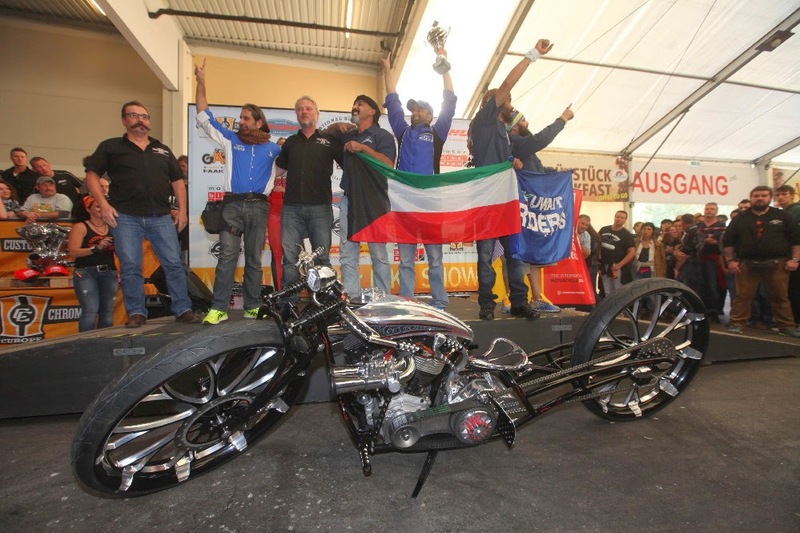 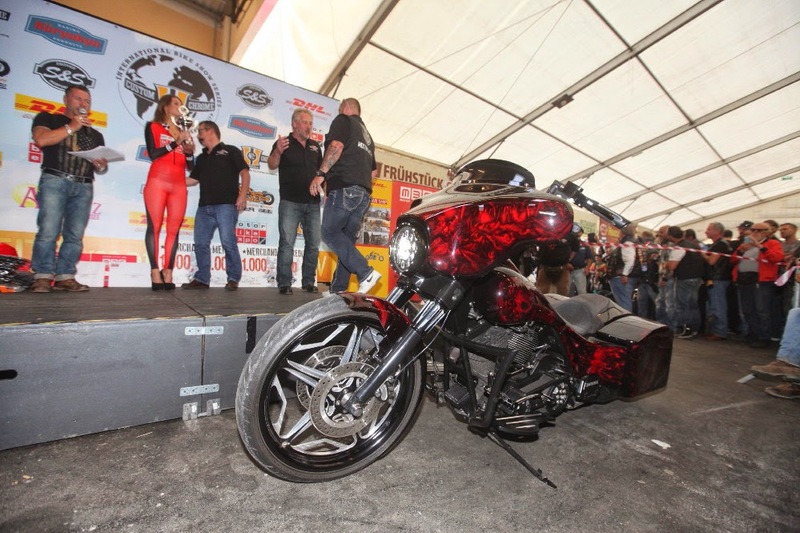 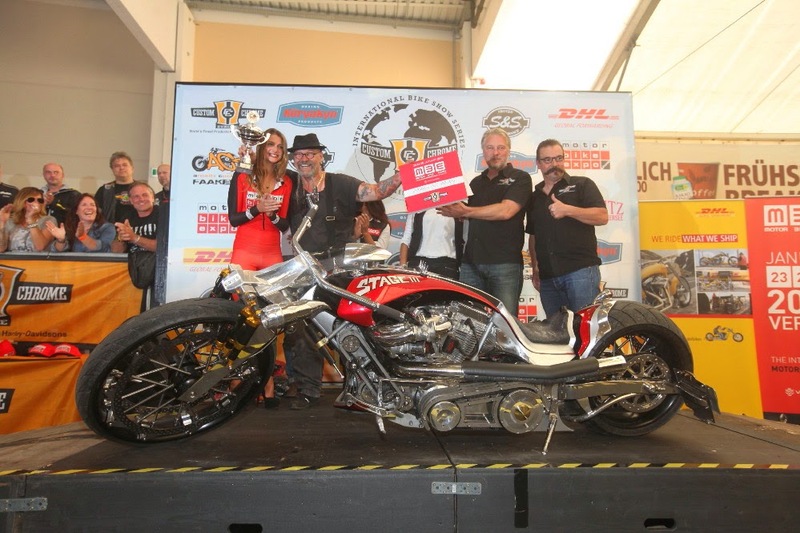 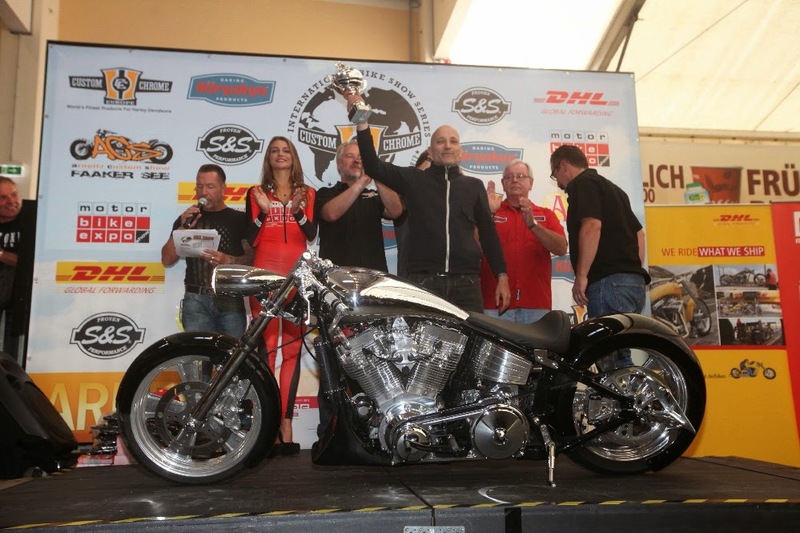 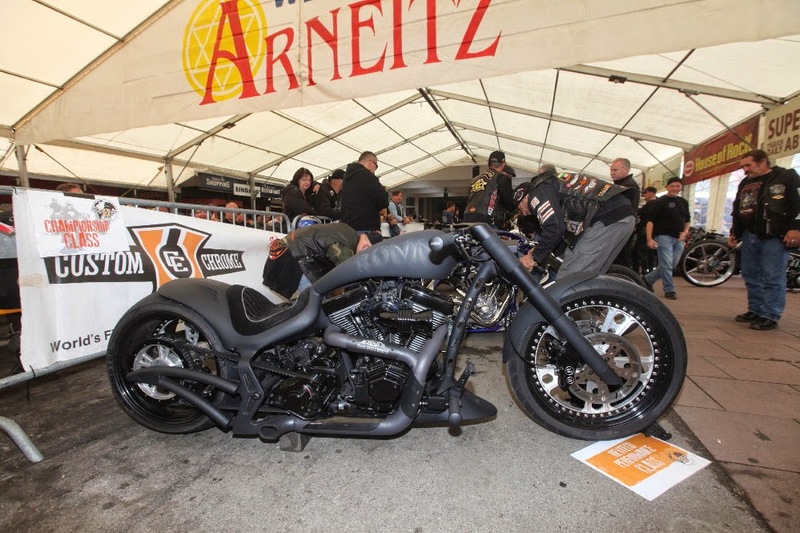 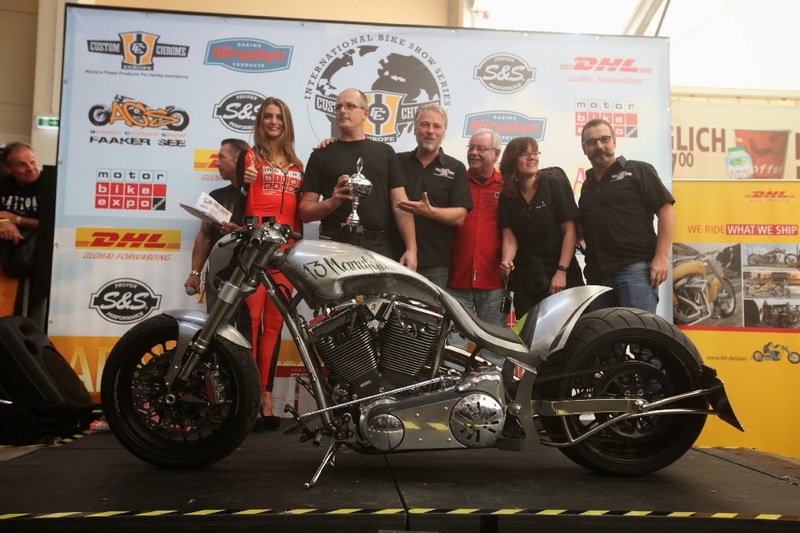 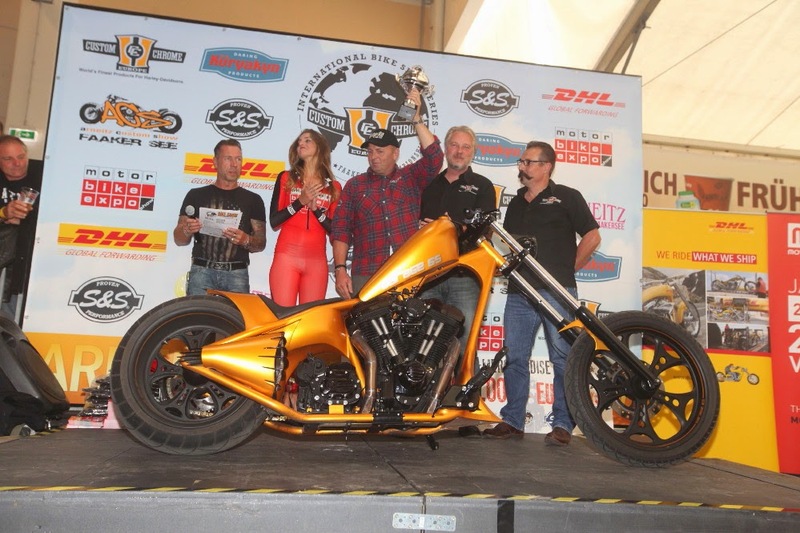 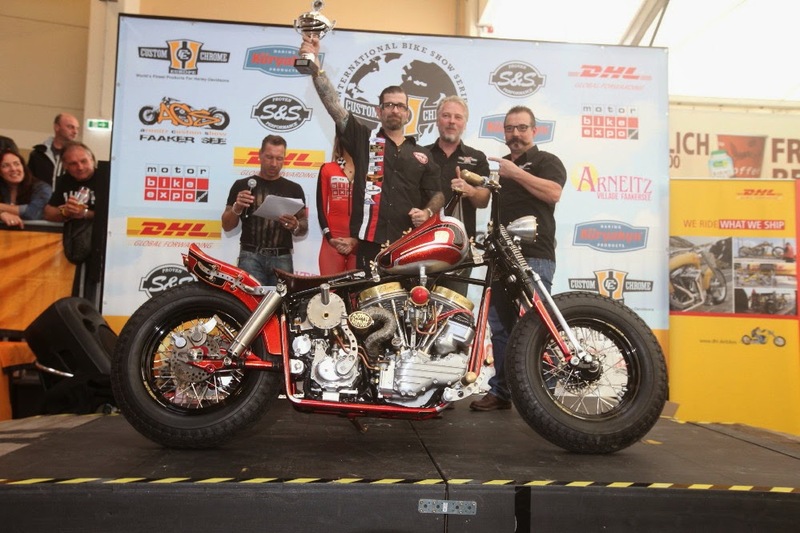 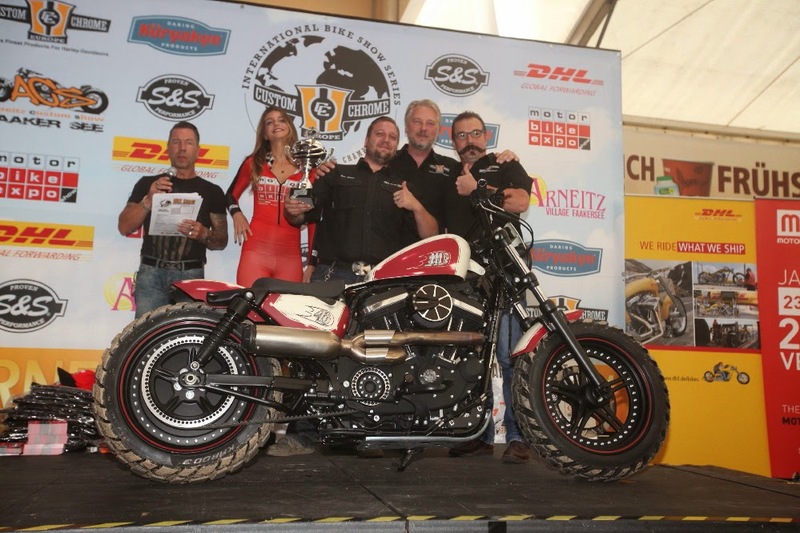 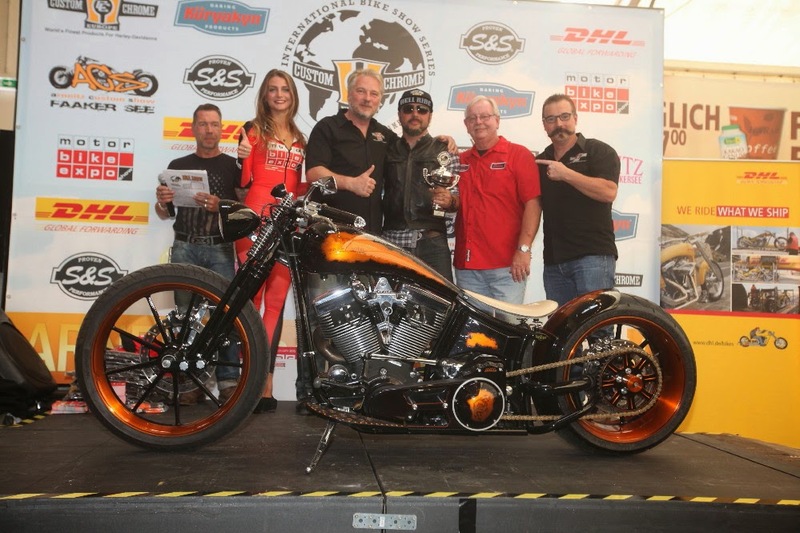 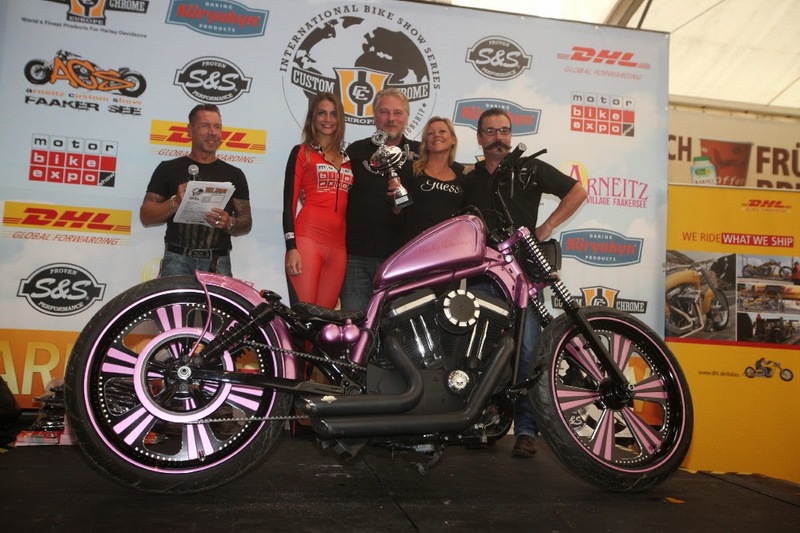 The patience paid off as the yet to be named super-low, super long powerful custom with TWO 30-Inch wheels won the CHAMPIONSHIP class and the 115 Cubic Inch RevTech engine! 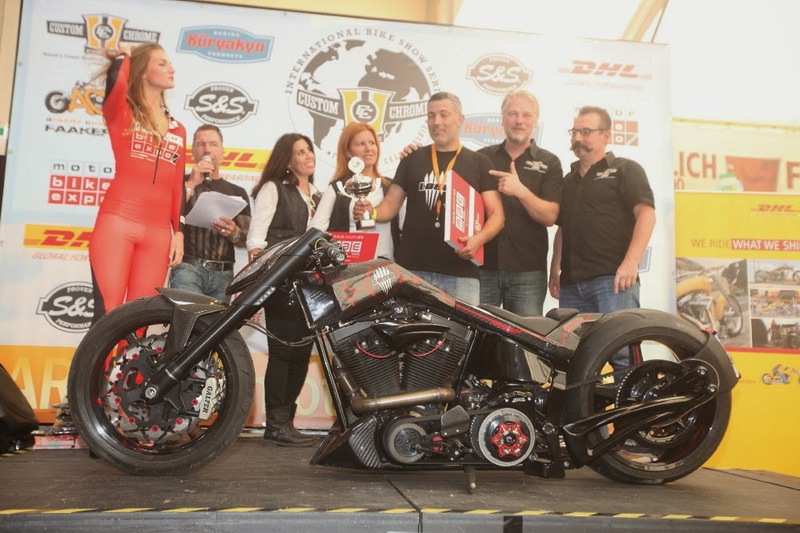 AT American Cycles "Stage III" came second against this opponent with an excellent carbon high tech performance bike by "Lobomotive" from Barcelona/Spain! 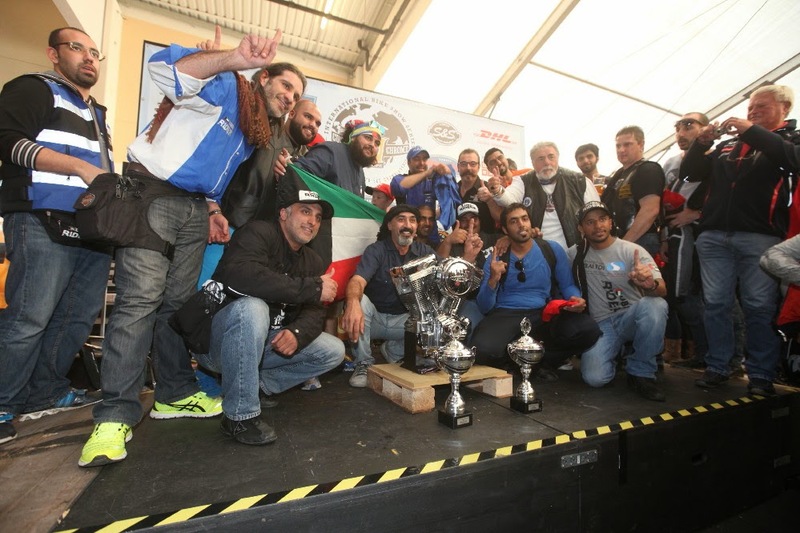 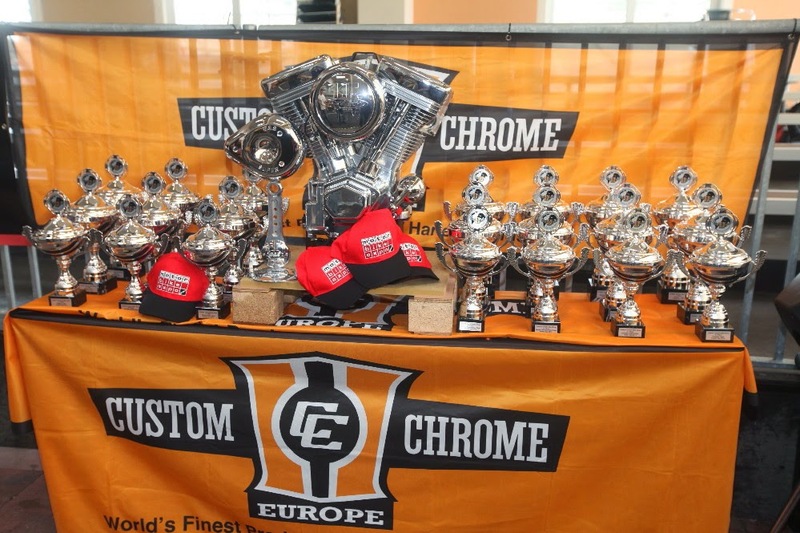 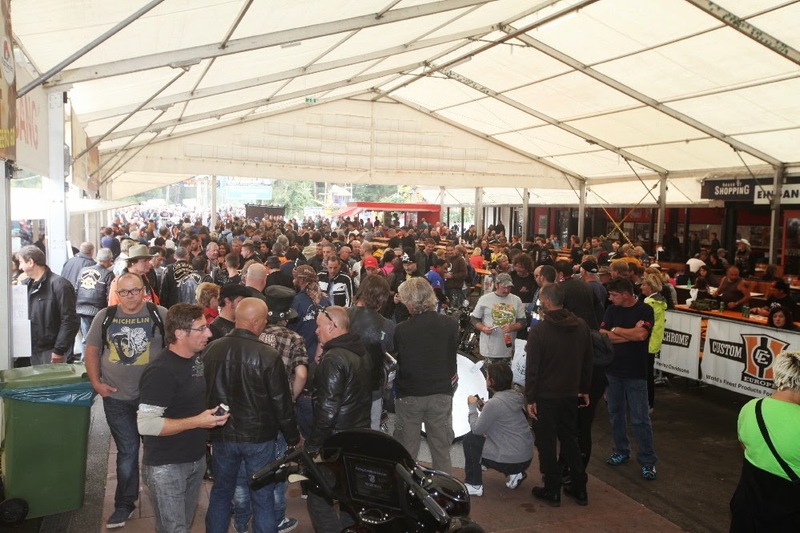 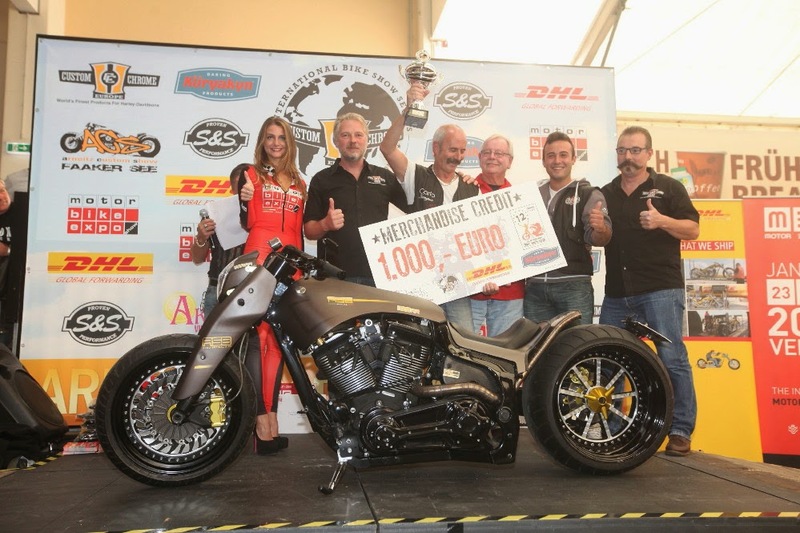 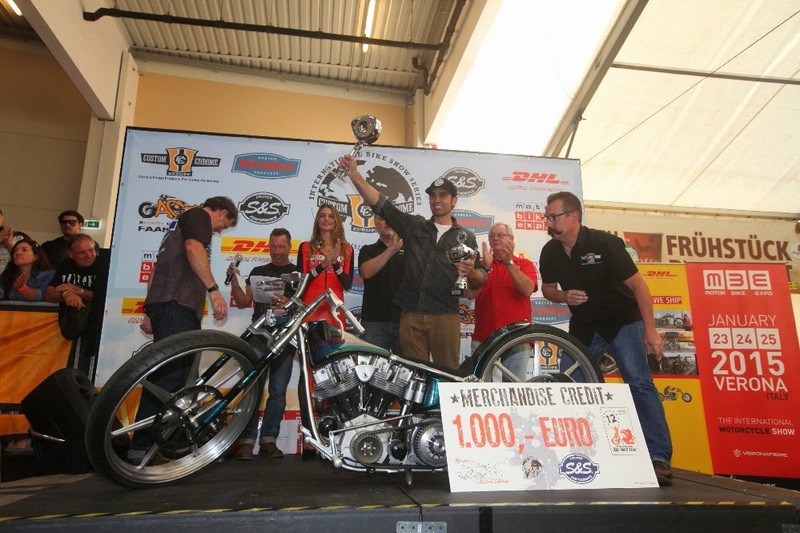 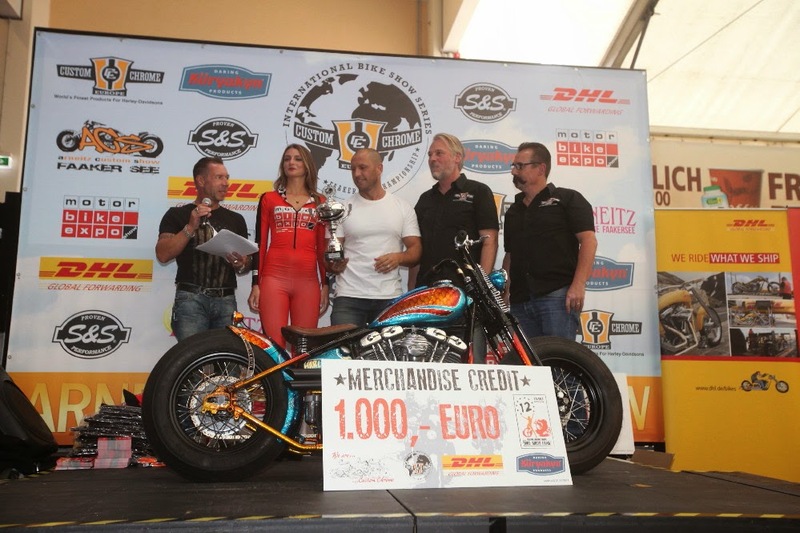 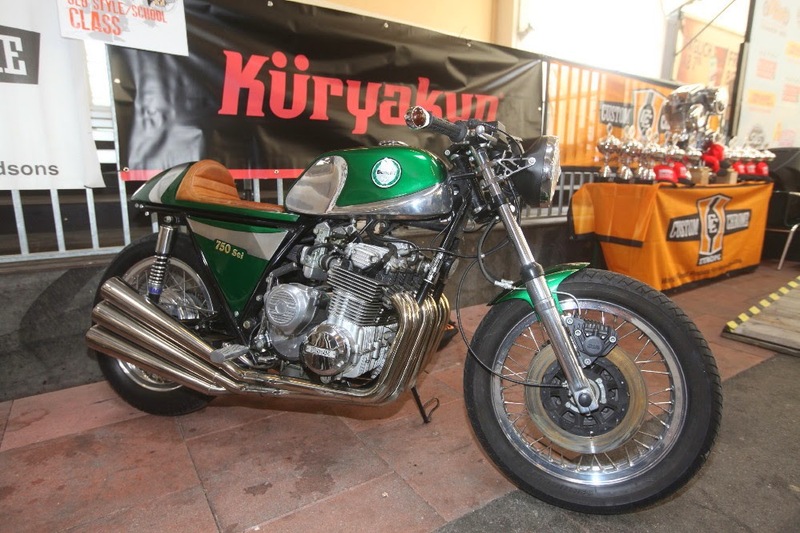 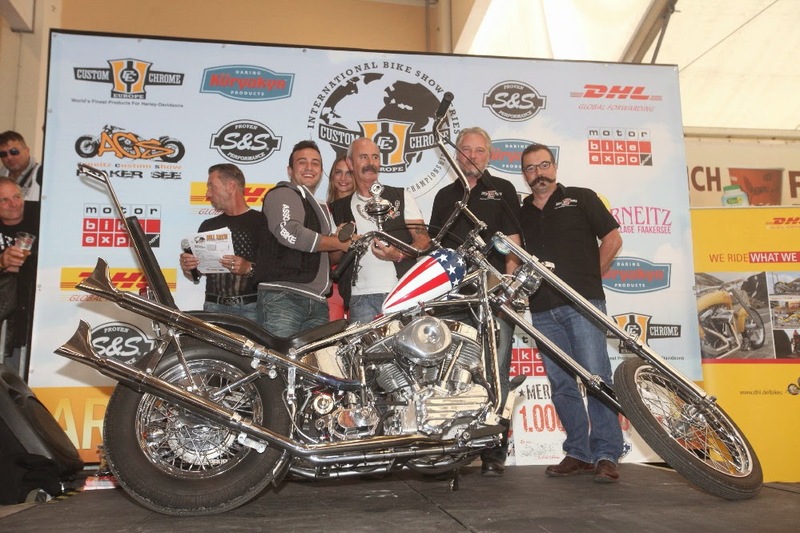 Championship Class were invited by MOTOR BIKE EXPO VERONA for the full weekend in January 2015! 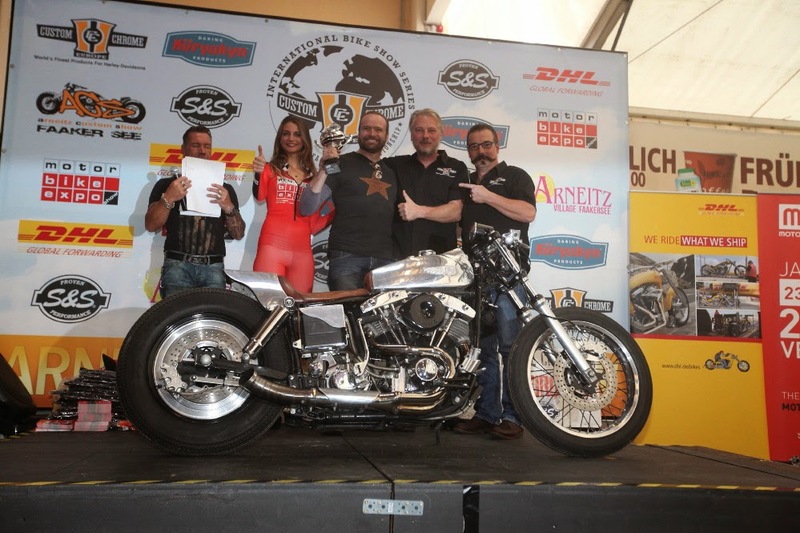 Special thanks - as usual - to the high-class panel of judges which are the ones that make this event possible and Show Sponsors DHL, KuryAkyin and S&S!